The Central Bank of Nigeria (CBN) will be introducing new capital controls in the second quarter of the year to protect the foreign reserves and the naira, The Nation has learnt. Capital control allows the apex bank to put up measures that check inflow and exit of funds from foreign portfolio investors in the economy. Nigeria suffered severe dollar shortages after the price of crude oil, its top export and main source of forex, plunged in late 2014, prompting it to introduce capital controls in 2015. The country has multiple exchange rates against the dollar and has been selling the greenback on the interbank market to boost liquidity after floating the naira for investors. But the policy, if implemented, will increase pressure on lenders already weighed down by bad loans. The requirements will be stricter in terms of what funding qualifies as capital and will also require lenders to create â€œcapital conservationâ€ and â€œcounter-cyclicalâ€ buffers, the CBN told Bloomberg. The rule seeks to protect the nationâ€™s banks â€œagainst shocks emanating locally and from abroadâ€ by increasing the level of regulatory capital and the quality of the assets, it said. Recently, the apex bank renewed its commitment to simplify foreign exchange regulations through reforms and innovation in a bid to further encourage investors. It pointed out that the delegation of the issuance of Certificates of Capital Importation (CCIs) to commercial and merchant banks some years ago was done to instill confidence in the investor community and encourage the flow of foreign direct and portfolio investments into the Nigerian economy. 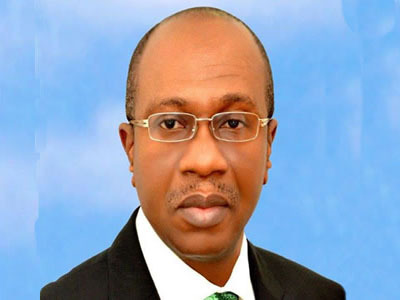 The CBN said it will continue to welcome foreign investments and investors. â€œIndeed, some of our recent innovations and reforms of the foreign exchange regime, such as the introduction of the Nigerian Autonomous Foreign Exchange (NAFEX) window, are designed to simplify foreign exchange regulations,â€ the bank said. With over $60 billion turnover in the Investorsâ€™ and Exportersâ€™ (I&E) Forex Window launched by the CBN in April, 2017, has surpassed stakeholdersâ€™ expectation. The window is not only a boost to forex liquidity, but has stabilised the local currency at the official and parallel markets.